WikiLeaks founder Julian Assange has requested political asylum and is under the protection of the Ecuadorian embassy in London. Assange wrote directly to Ecuadorian President Rafael Correa, saying he was being persecuted and could not return to his homeland, where he would be vulnerable to extradition to "a foreign country that applies the death penalty for the crime of espionage and sedition." 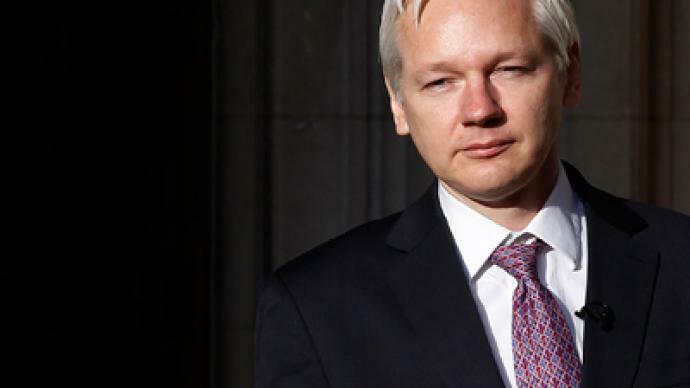 Ecuadorian President Rafael Correa, a big fan of WikiLeaks, is now reportedly studying Julian Assange’s request. Last month Correa told Assange in an interview that it is time to get rid of false stereotypes depicting wicked governments persecuting saint-like journalists and news outlets and welcomed him to the “club of the persecuted. 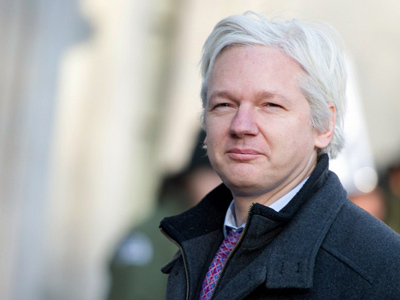 Ecuador's foreign minister Ricardo Patino confirmed Assange has taken refuge in the South American nation's embassy in London and is seeking political asylum. "Ecuador is studying and analyzing the request," Patino told reporters in Quito. In a brief statement, Assange said he was “grateful to the Ecuadorian ambassador and the government of Ecuador” for considering his application. The UK Foreign Office said it was working with the Ecuadorian authorities to resolve the situation as soon as possible. "As Mr. Assange is in the Ecuadorian embassy, he is on diplomatic territory and beyond the reach of the British police,” the Foreign Office said as cited by Sky News. The country's embassy in London has also confirmed the information and released a statement on its website. "While the department assesses Mr Assange’s application, Mr Assange will remain at the embassy, under the protection of the Ecuadorian Government. 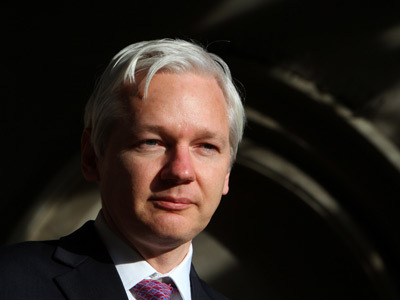 The decision to consider Mr Assange’s application for protective asylum should in no way be interpreted as the Government of Ecuador interfering in the judicial processes of either the United Kingdom or Sweden", the statement says. The South American nation has already once offered Assange residency. In November 2010, Deputy Foreign Minister Kintto Lucas said his country is "open to giving him [Assange] residency in Ecuador". Lucas also said Ecuador was "very concerned" by information revealed by Wikileaks linking US diplomats with spying on friendly governments. Julian Assange, the founder of whistleblower website WikiLeaks, has been under house arrest in the UK since 2010, after Sweden issued an international arrest warrant over allegations of sexual assault. Swedish authorities want to question Assange over allegations of “unlawful coercion and sexual misconduct.” He is not charged with any crime, though two women have come forward claiming to have been “sexually molested” by Assange. 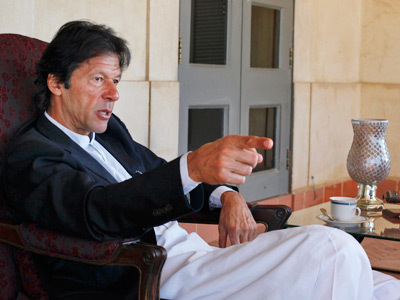 He claims that both encounters were consensual, and maintains that the case is politically motivated. Ecuadorian asylum: The logical choice? 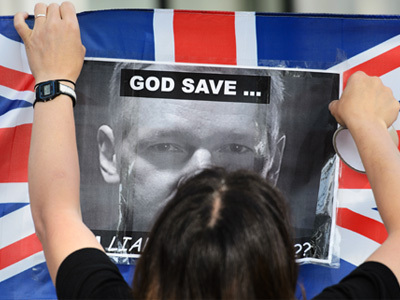 ­Ecuador would be a good choice of hideout for Julian Assange, because the likelihood of an extradition from that country is much lower than it would be from Sweden or the UK, believes WikiLeaks supporter Clark Stoeckley. ­However, investigative journalist Paul Lashmar believes that in the end Assange might not make it to the safety of Ecuador. 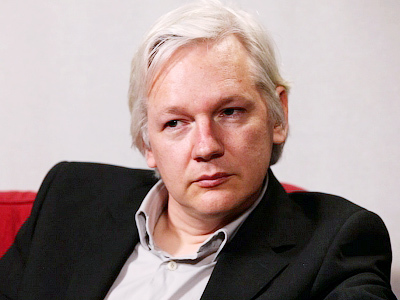 Because Ecuador intends to comply with the United Nations Universal Declaration for Human Rights while considering Assange’s asylum request, seeking a safe haven there country seems like a logical choice, says David Swanson, a Campaigner with RootsAction.org. ­Ecuador is quite a suitable country, and for Assange to seek political asylum there would certainly be safer than in any other country that supports American foreign policy, journalist Afshin Rattansi told RT. But “even if Ecuador did accept the asylum request, it would still be a complicated matter, as to how Julian Assange would leave London,” he added. In the end, the Ecuadorian government would have to decide whether or not it is worth it to provide asylum to Assange, Internet freedom activist Barrett Brow told RT. After Sweden: Assange to become Manning II?